What are Bone Doctors and What Do They Do? Bone doctors are most commonly known as orthopedic doctors. The branch of medicine known as orthopedic mainly focuses on injuries that have occurred in the body to parts of the musculoskeletal system. These bone specialists also focus on injuries and deformities to the joints of the body and the spine. They most commonly work in hospitals, clinics, or private practices. A bone doctor not only treats broken bones, but they also focus on joint issues and degenerative conditions that affect the joints and bones in the body. 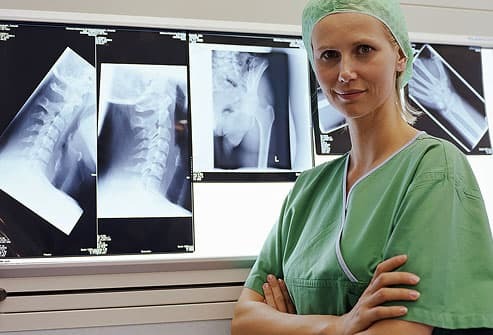 These doctors can have a specific area of the musculoskeletal system they focus on, or they may handle a rather wide array of issues that affect the bones. A bone specialist in a small private practice may focus on one specific area or condition such as joints and arthritis, while bone doctors working in a larger hospital facility may administer and treat everything from sprained ankles to broken bones to total hip replacements. The most common reason for a trip to an orthopedic doctor is to receive treatment for a broken bone in the body. These doctors also treat and educate large amounts of patients who experience arthritis and carpal tunnel. Arthroscopies are one of the most common minimally invasive procedures that bone specialist’s often perform. These types of procedures can correct some of the minor joint issues that the patient may experience. This procedure is most commonly performed on the hips, knees, or shoulder. One of the most important fields of medicine that these doctors specialize in is the treatment of sports injuries. This includes any infections, tumors, or injuries to the bones that have occurred as a result of an injury from playing a sport or exercising. These doctors are one of the most important doctors that can regularly be found at a sports clinic. Bone issues are common for athletes for many different reasons. Often times an athlete will find themselves at a sports clinic due to the fact that they do not give themselves ample amounts of time to warm up and stretch before jumping right into the activities of the sport. The two most common types of athletic injuries can be categorized in two groups, acute and chronic. Acute injuries will occur suddenly while exercising or engaging in physical sports, while chronic injuries occur after a prolonged period of time playing a specific sport or specific exercise. A sprained ankle is the most common type of acute injury that these type of doctor’s encounter. A great orthopedic doctor tends to spend their leisure time reading medical journals, attending seminars focusing on their field of medicine, and always keeping up to date with the latest information and news about joint and bone care. These doctors also spend a good amount of their day consulting with other doctors about specific cases and trying to develop the best possible immediate action to be taken to help the injury and the best possible long-term treatment plans for their patient’s sports injuries.